Written by Charles on December 12, 2016 in Blog. 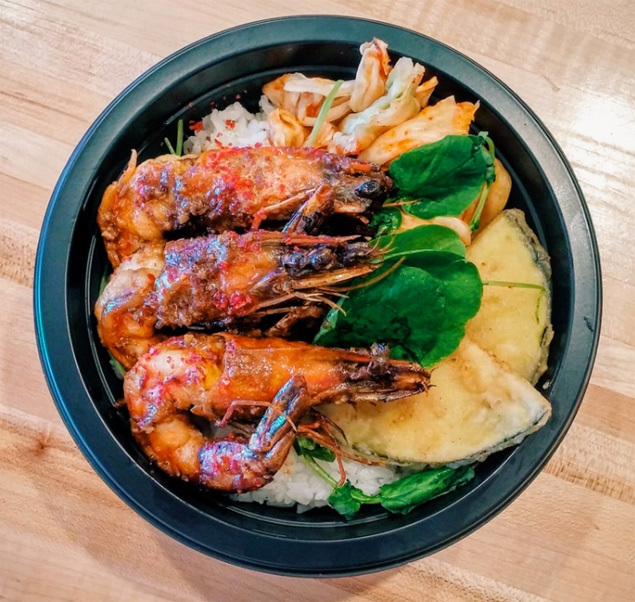 This time let’s skip the intro and get right down to business: here are the 7 best new restaurants on The Valley Isle, in no particular order. 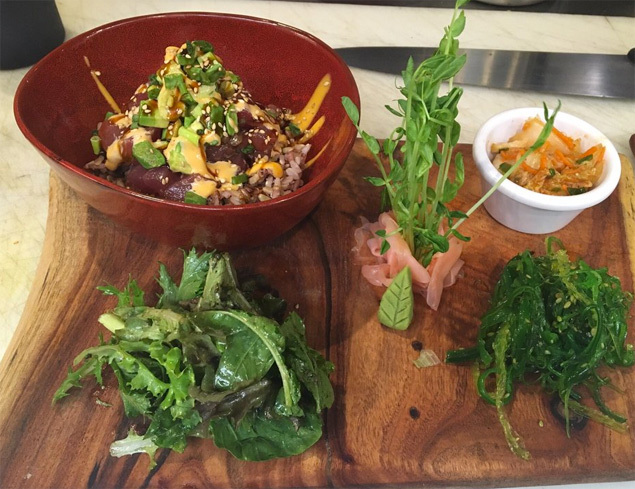 “Fresh, local ingredients” and “farm to table” are definitely restaurant buzzwords these days, but Fork and Salad actually delivers on the promise. 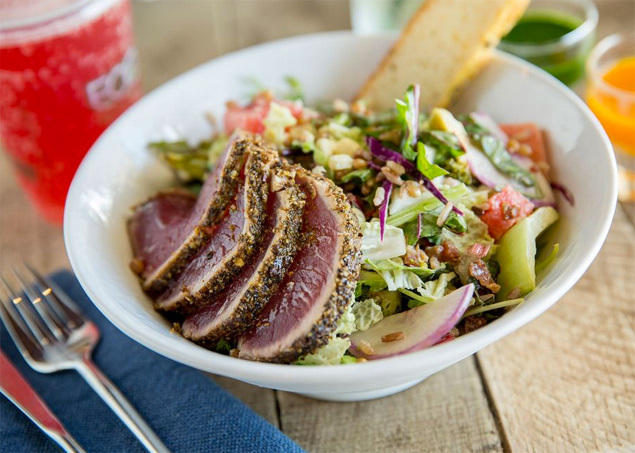 The small Kihei eatery is clean, cheerful and well-lit, with an impressive ingredient menu board that changes depending on what’s fresh and in season. Choose from several signature salads, including Buckwheat Noodle and Watermelon & Feta, or create your own from dozens of ingredients and dressings — theoretically you never have to eat the same salad twice. You can also grab sandwiches, wraps and fresh made kombucha. Locals and visitors alike are raving about this open-air, counter-order eatery that serves imaginative and delicious breakfast, lunch and dinner. Nalu’s is known for — well, lots of things — like its Cubano Sandwich; Lobster Truffle Flatbread; Crab Cake Salad; Malasadas w/fresh whipped cream, macadamia nuts, and pineapple; complimentary infused waters and waaaay more. Tasty drinks also served. Mexican food can often be a toss-up authentic and meh and sheer culinary wonder. Sangrita happens to nail both authentic and genius in one fell swoop, with a great tequila and mescal selection to boot. 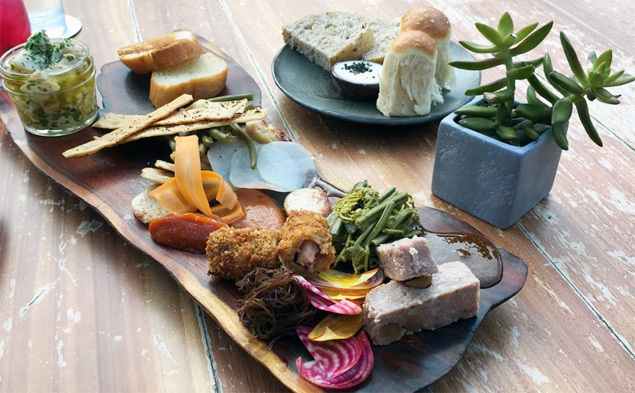 Named “Best New Restaurant” from Hawai‘i Magazine in 2015, this Lahaina hotspot is run by owner and chef Paris Nabavi, who’s comes from a classic French cooking background. “I love to cook and I put my heart and soul into it,” he says. Need we say more? Generous portions of food at reasonable prices? 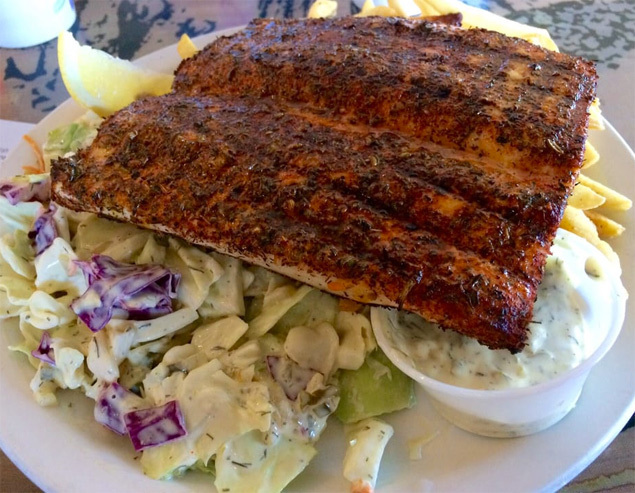 Yep, and a nice selection of fresh-caught fish plates and tacos (Mahi maui, ono, snapper, ahi and opah), burgers, pastas, salads and other yummy treats like onion rings, clam chowder, blackened sashimi and more. The original restaurant opened in 1989 in Paia, and now we’ve been gifted with two new locations in Kihei and Lahaina. 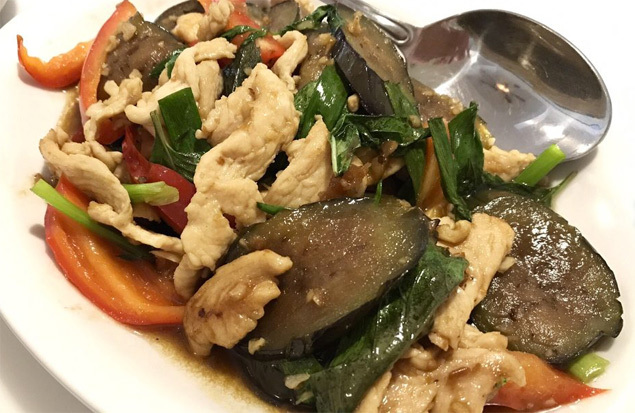 The place is packed for dinner — always a good sign — and menu is chock full of both classic Thai dishes (Pad Thai, Tom Kha, curries, etc.) and more adventurous items such as Fresh Ahi Laab, Deep Fried Soft-shell Crab and Whole Fresh Fish Branzino. FYI, it’s BYOB. This mom and pop lunch hotspot with a curious name does not disappoint in the least. Locals line up for a fresh take on local favorites, such as the Mochiko Chicken and 6-Minute Egg, Napili Bahn Mi with spam pate, Saimin Bowl (Hawaiian-stlye ramen) and Bibinka birthday cake. Prices are very reasonable, and the chef — Sheldon Simeon — is a local boy from Hilo who was a finalist on the popular TV show Top Chef. An open-air kitchen sets the tone as you watch dishes being prepared — Caraway Gnocchi, Seafood Cappellaci, Chickpea Panisse, Chocolate Bar to name a few…hungry yet? Also, The Mill House is known for its craft cocktails, extensive wine list and impressive beer menu.